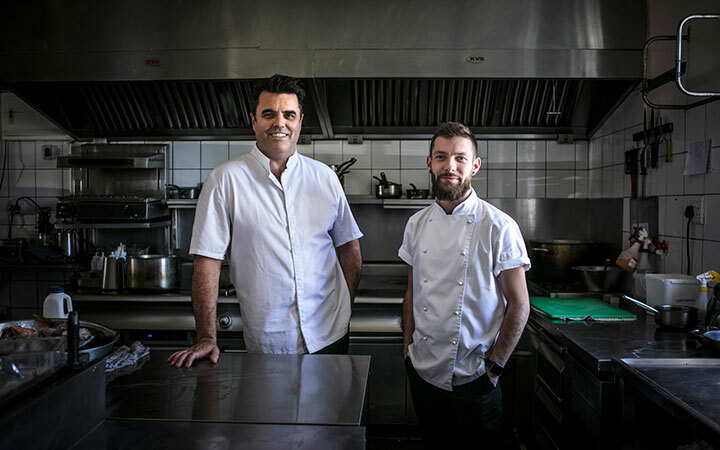 Greenhouse at The Cellars-Hohenort welcomes new Head Chef, Farrel Hirsch (aged 31) to its kitchen as of November last year. Guests can look forward to Hirsch’s flair for innovation and fresh flavours, but with the same outstanding quality for which the award-winning restaurant is so highly celebrated. Originally from South Africa, Hirsch gained fundamental work experience abroad, in the UK, where he cooked in some of Nottinghamshire’s most acclaimed kitchens such Tonic, World Service and Cast at The Nottingham Playhouse. On his return to South Africa, he worked at a number of top hotels and lodges including Cape Grace Hotel and Spa, The Oyster Box and the Singita group. But it is Greenhouse where he worked as Sous Chef from 2014 to 2016 – that he credits for helping to shape his culinary development and the chef he is today. Now, returning to Greenhouse for a second time, he brings world-class experience to the table. “At Greenhouse it’s not just about coming in for dinner, it’s about the experience and how you feel during the meal and well after you leave the dinner table. We definitely want to keep up the theatrical experience and continue to challenge flavours. Not to taste, is not to know,” he says of his new role. Hirsch’s official start date at Greenhouse was 14 November 2018. To avoid disappointment, customers should book their tables in advance to experience the sensational summer menu that awaits. The restaurant recently placed 6 in the top 10 at the highly anticipated annual Eat Out Mercedes-Benz Restaurant Awards. Led by Hirsch’s vision, Greenhouse will remain under the executive creative direction of Chef Peter Tempelhoff.